Mushrooms. mmmm. Recently, I’ve been trying to branch out from regular white mushrooms and “sophisticate up” my cooking with more wild mushrooms. I’ve eaten cremini, portabella, and shiitake mushrooms separately before, but never together in one dish. I saw a Barefoot Contessa episode once where Ina combined the three (recipe). The idea was so simple yet so original that I knew I had to try it. Ingredients are very simple: a variety of mushrooms (cremini, portabella, and shiitake), EVOO, 2 tbsp butter [Ina used 4, I usually cut everything in half], chopped shallots, chopped garlic, salt & pepper, and flat leaf parsley (for finishing). Instructions: Clean the mushrooms with a damp paper towel or sponge. Remove the stems. 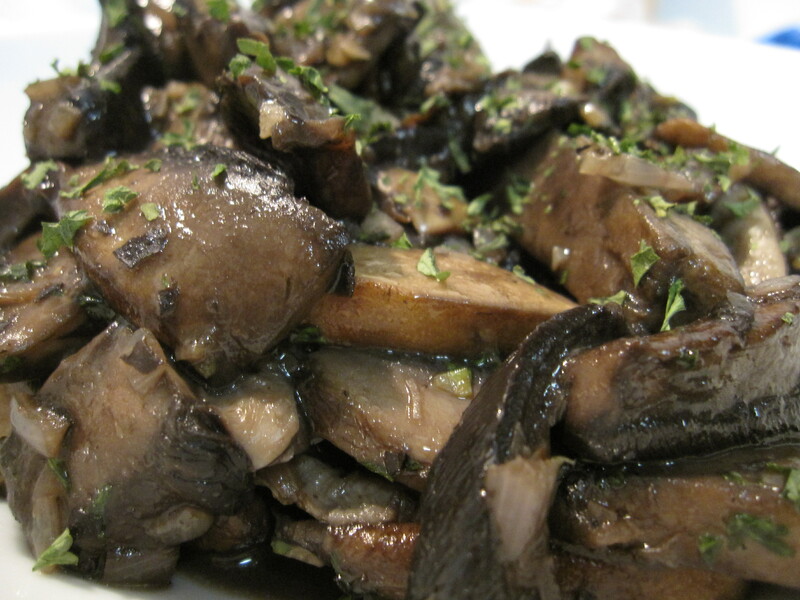 Cut the mushrooms lengthwise into slices. Heat a large saucepan [I seized any opportunity to use my Le Creuset dutch oven!] and cook the shallots until they are done. Add the butter and mushrooms and continue stirring until they are wilted and tender. Add salt and pepper to desired seasoning and garlic. Add chopped parsley at the very end (last 20 seconds) and serve warm. Sounds delicious. Can’t wait to ‘shroom it up.